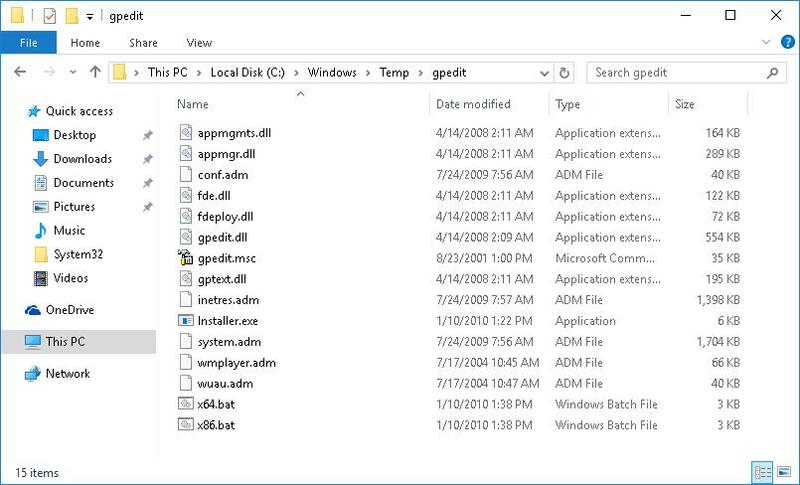 The Local Group Policy Editor console (gpedit.msc) is used very often to tune Windows settings. However, the gpedit.msc console is missing in the Windows 10 home editions (unlike Windows 10 Pro and Enterprise). It is likely that, according to the Microsoft logic, the home user doesn’t need to edit the local settings through the gpedit.msc GUI. Accordingly, users of the Windows 10 home editions have to make changes through the registry editor, which is not so clear and more risky since it is possible to make a mistake and break the system. Windows cannot find ‘gpedit.msc’. Make sure you’ve typed the name correctly, then try again. In this article we’ll show how to install the local GPO editor snap-in in Windows 10 Home. This method also works in Windows 7 and Windows 8.1. 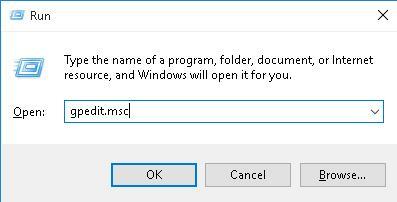 How to Install GPEdit Package in Windows 10 Home Using DISM? 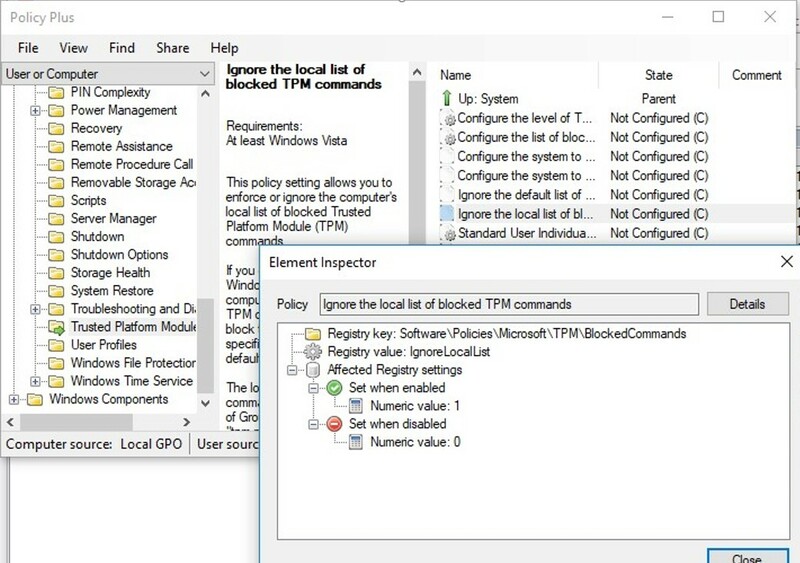 Local Group Policy Editor (gpedit.msc) is a separate MMC snap-in, which is essentially a graphical add-in for easy management of Windows settings in the registry. When you change the settings of a policy, the editor immediately makes changes to the associated registry parameter. Instead of looking for the necessary key and manually editing the registry parameter, it is much easier to find and edit the setting in the gpedit.msc editor. The GPO editor contains more than two thousand Windows settings, which are located in a coherent hierarchy, have a detailed description and offer predefined configuration options for selection. Tip. Correspondence between policies and registry keys can be found in the XLSX document Microsoft Group Policy Settings Reference Spreadsheet Windows. 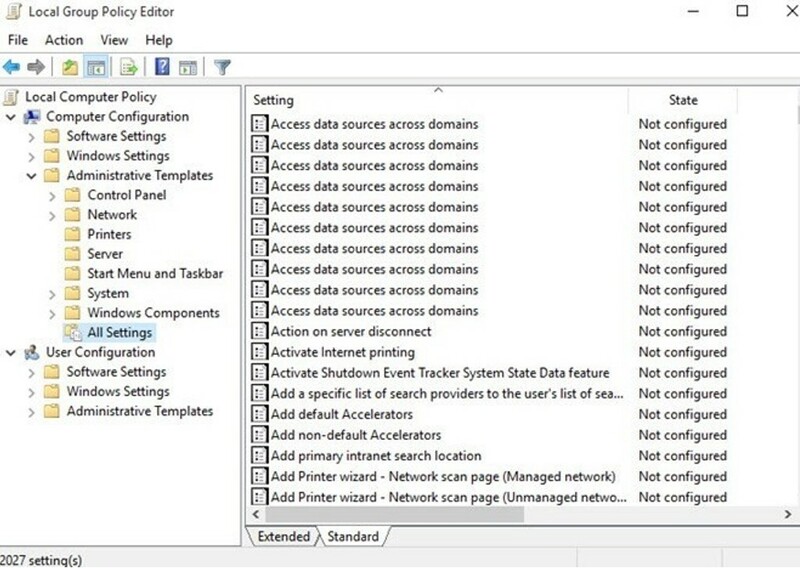 The Windows10andWindowsServer2016PolicySettings-1803.xlsx file for Windows Server 2016 and Windows 10 1803 can be downloaded here: https://www.microsoft.com/en-us/download/details.aspx?id=56946. In this table, you can find which registry key to use for a particular policy setting. You can convert these pol files into a convenient text format using the lgpo.exe tool. If you delete files from these folders, you will reset all local group policies settings to the default empty settings (this is useful when, after changing some Windows settings through the local policies, the computer starts blocking user login or doesn’t boot). 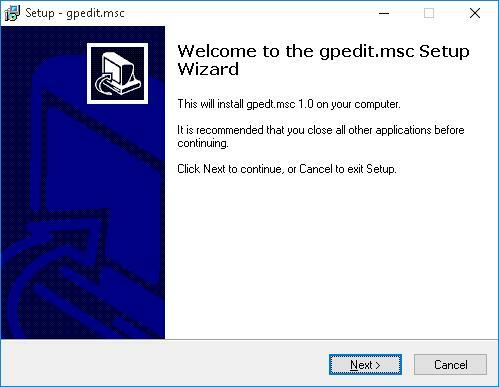 Some time ago I found a third-party installer of the gpedit.msc editor for Windows 7. It can also be used in Windows 10 (described in a separate section of this article), but in Windows 10 Home there is a hide opportunity to install the gpedit.msc console directly from the Windows image files. For convenience, you can save this code in a text file gpedit-install.bat and run it as administrator. Wait a while until DISM installs the packages from the Windows 10 component storage. 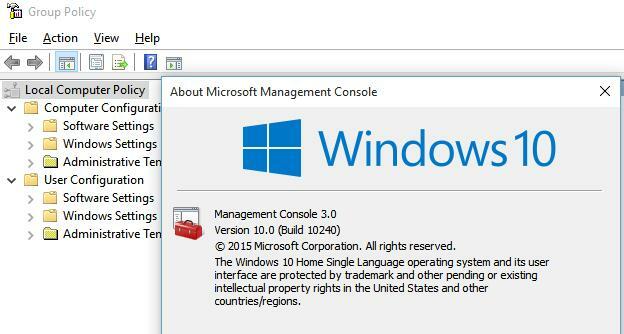 Now try to launch the gpedit.msc console – the local group policy editor interface should open (no reboot required). The GPO editor is fully functional even in the home version of Windows 10 and contains all the necessary policy sections that are available in the Pro/Enterprise editions of Windows. To start the group policy editor in Windows 10 Home, you can use the unofficial patch from enthusiasts, which includes all the necessary libraries and files for the local GPO Editor console. Restart your computer and try to start the GPO Editor console by running the command gpedit.msc. If the error “MMC could not create the snap-in” appears, run the file x86.bat or x64.bat (depending on the bitness of the system) from %WinDir%\Temp\gpedit manually. Manual copying of archive files to the %SystemRoot%\System32\ folder may also help. Tip. 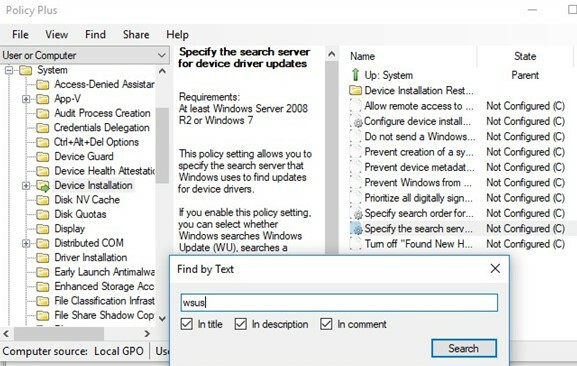 In the installed version of the gpedit.msc, some policies that appeared in Windows 8 and Windows 10 are missing, since this version has been developed for Windows 7. There may be no new policy settings that appeared after Windows 7, for example, a policy related to the recent problem with credssp. In addition, there is only the English version of the GPO editor. Download and run Policy Plus with administrator rights (it is portable and doesn’t require installation). As you can see, the Policy Plus console interface is very similar to the gpedit.msc: a tree with sections in the left window and policies in the right window. The Policy Plus functionality significantly exceeds the capabilities of the standard policy editor gpedit.msc. The utility allows you to link the administrative template files (admx), and if necessary, you can download the latest admx versions from the Microsoft site (Help -> Acquire AMDX Files). This operation is a must-do for users of Home editions of Windows 10, since the most of the administrative template files are missing. Policy Plus has a convenient built-in policy search. You can search by text, policy description, related registry keys. You can edit the registry of an offline Windows image, load POL files of policies and export settings of group policies to a file in order to transfer them to other computers (Import / Export reg and pol files). In this case, you don’t even need to use LocalGPO or LGPO utilities to transfer policy settings between different computers. It is quite convenient that with the help of the built-in Element Inspector you can see which registry keys are changed by one or another policy and the possible values of the registry parameter. Please note that after changing local policies, the Windows 10 Home users need to restart the computer or perform logoff/logon in order to apply the system settings. In Pro and Enterprise editions, most changes take effect immediately, or after the gpupdate /force command has been executed. In addition, Multiple Local Group Policies (MLGPO) are not supported in the Home editions of Windows. I’ve fixed error in the link . You can download archive now. It worked GREAT !! Thanks a lot. Should I do step for a 64-bit Windows 10 version if i have Win 7 x64? i can’t copy, it’s said need administrator permission, what should i do? Before the process would work, I had to go into the Windows folder and manually reset the security on 3 or 4 of the files listed above BEFORE I could replace them. Screw Microsoft for making this difficult AND taking steps to prevent it. Sukses dan manjur! Sekarang sudah bisa enable gpedit.msc, Terima kasih tip yang diberikan. Success and efficacy! Now it can enable gpedit.msc, Thanks tip given. should hide the power icon on the signin screen (lower right on/off icon), but it does not. Setting the HidePowerOptions does hide the signin screen power icon. gpupdate /force, logoff/logon, restart do not execute the gpedit setting. The gpedit settings persist after restart. The event viewer shows GroupPolicy ran successfully with 1 change. Does this example work for you? What should I look for? Do I need to add accounts under GroupPolicyUsers? System: Win10 Home 1803 17134.556, with multiple accounts, run from account with admin rights.